From the Publisher:A captivating narrative history that traces liquor, beer, and wine drinking in the American South, including 40 cocktail recipes. Ask almost anyone to name a uniquely Southern drink, and bourbon and mint juleps–perhaps moonshine–are about the only beverages that come up. But what about rye whiskey, Madeira wine, and fine imported Cognac? Or peach brandy, applejack, and lager beer? At various times in the past, these drinks were as likely to be found at the Southern bar as barrel-aged bourbon and raw corn likker. The image of genteel planters in white suits sipping mint juleps on the veranda is a myth that never was–the true picture is far more complex and fascinating. Southern Spirits is the first book to tell the full story of liquor, beer, and wine in the American South. This story is deeply intertwined with the region, from the period when British colonists found themselves stranded in a new world without their native beer, to the 21st century, when classic spirits and cocktails of the pre-Prohibition South have come back into vogue. Along the way, the book challenges the stereotypes of Southern drinking culture, including the ubiquity of bourbon and the geographic definition of the South itself, and reveals how that culture has shaped the South and America as a whole. 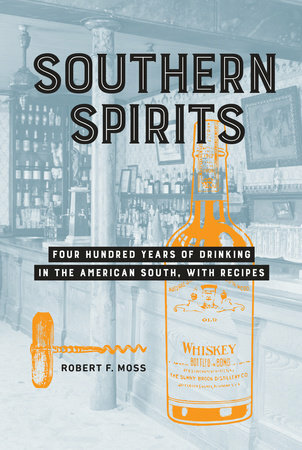 If you’re interested in the South or the history of spirits in the U.S., “Southern Spirits” by Robert Moss does not disappoint. I learned new facts, which is always a good thing, especially for trivia nights. Do you associate mint juleps with the South and assume they are a staple at garden parties and wedding showers? Apparently not. 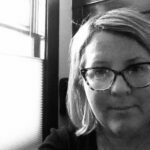 “…modern Southerners of a more progressive bent recoil instinctively against drinking juleps because of all the associated baggage,” Ross writes. I also found out that George Washington had his own quite successful distillery. Did you know that? Each chapter includes a cocktail recipe, including recipes for a Coca-Cola simple syrup and shrubs. There are quite a few historical photos as well as images of old advertisements, which are fun to see.